Pretty much everyone knows that the main theme of the X-Men comics is that prejudice is wrong. Mutants in the comics have been a stand-in for everything from the civil rights movement of the 60s on up to the struggle for gay rights today. It's a metaphor that works very well, as it allows the issue to be discussed in a way that the largely male, white, straight readership of comics can understand: preaching to smart, largely unathletic kids that can empathize with "these people are hounded because of their unappreciated special talents" is pretty low hanging fruit, after all. The stories have run the gamut from the heartbreaking to the ham-handed, but at their core, they've always been about accepting those who are different. It's a shame the movies dropped the ball so badly. When they're not doing things like this. 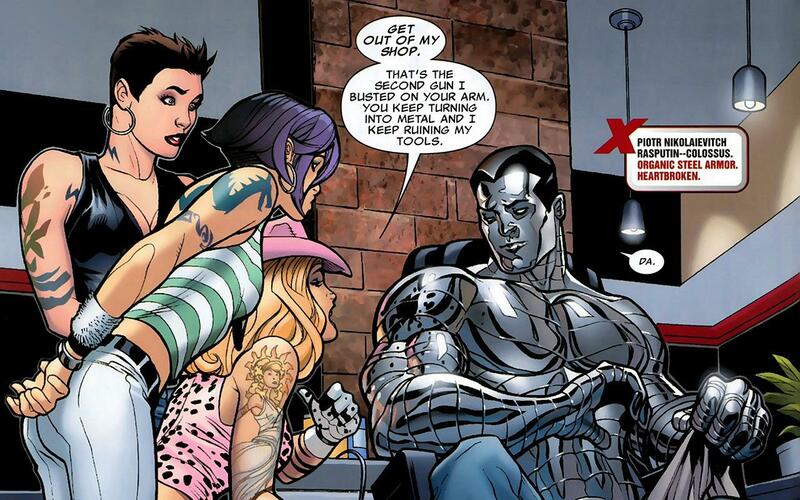 In the comics, discrimination against mutants is shown to be foolish on a lot of levels. The first, of course, is that there are a ton of non-mutants running around that are just as much, if not more dangerous than any of the mutants: the Hulk, Thor, or the Sentry could give any of them a run for their money before even looking at the more villainous options. The second is that there are a lot of mutants in the comics whose mutations are little more than cosmetic in nature; before Genosha was destroyed, the mutants numbered in the millions, and only a handful had even marginally dangerous abilities. Third, the mutants are out there every day saving the world. 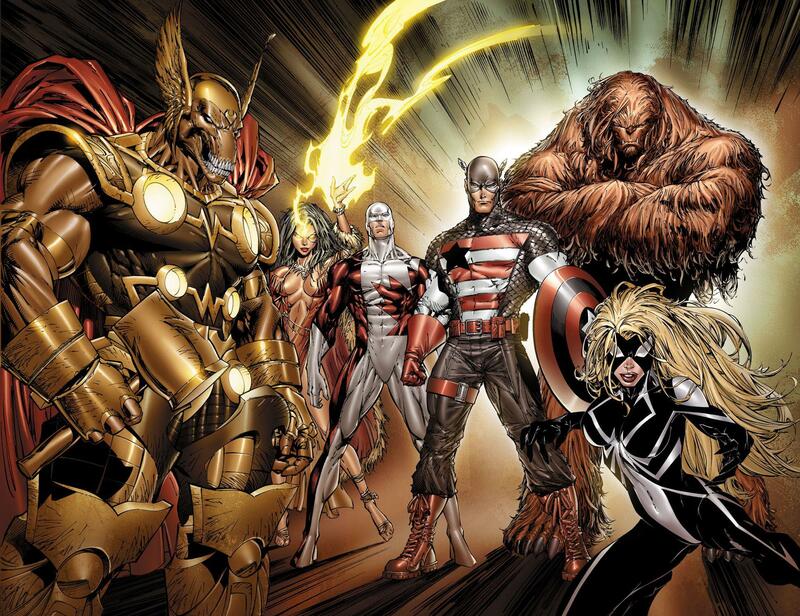 The X-Men stand shoulder to shoulder with the Avengers, Fantastic Four, Defenders, and various solo heroes, and mutants have served on all of those teams at one time or another. The fear of mutants above other superpowered types is clearly irrational in the comics. The movies don't really have any of this. There are no other superhumans,or at least none that are ever mentioned. This also means there aren't ever really any non-mutant superpowered threats, so humanity sees mutants fighting either government agencies or other mutants. And, especially in the first and second movies, the ratio of "terrifying forces of nature" to "normal folks with feathers and fur" is just a weensy bit lopsided. In the first movie, the good guys consist of: two people that can read and control minds, one of whom can also move objects with her minds, a woman that can summon lightning and tornadoes, a girl that can drain memories and life force from the people she touches, a guy who uncontrollably shoots lasers out of his eyes, and an unstoppable killing machine. There are some younger students at the school, but even those are shown doing things like conjuring ice and walking through walls. The second movie opens with a teleporting mutant that almost succeeds in killing the president. 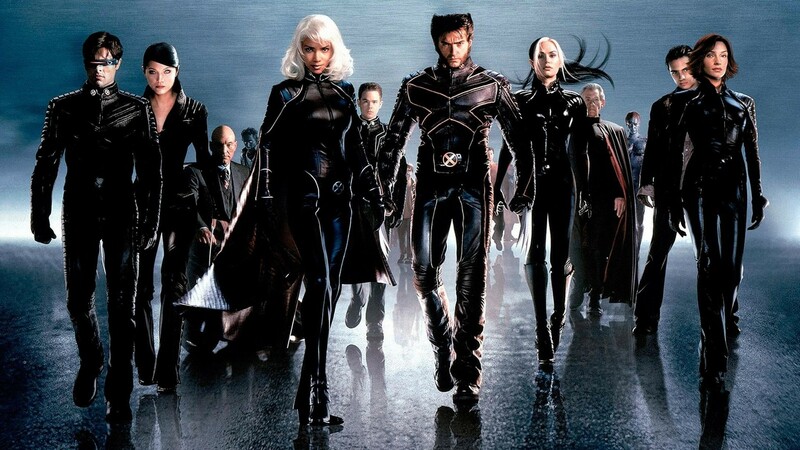 By the third movie, there are dozens of incredibly powerful mutants fighting on both sides of the conflict. What the movies try to sell as "anti-mutant hysteria" is actually a fairly sensible fear of a group of beings with immense power and no accountability. Some of them choose to coexist with humanity, while others claim an inherent right to rule. Two groups seek out young mutants and try to train them to use their powers, both toward violent ends; to the humans caught in the middle, it looks like a turf war as much as anything. Oh yeah, and a group of them almost made the Cuban missile crisis go nuclear, so there's that. Even the kindest and best of the mutants have powers that are terrifying in their implications, and we see many of them mind controlled throughout the films by their fellows, so their inherent goodness is no guarantee of their good behavior. The fear of mutants in the movie is perfectly understandable and even reasonable. If you turned on the news tomorrow and started seeing stories about people that could bench press a tank or blow a hole in a vault by staring at it, you'd... well, probably, given that you're reading this blog, you'd say "Awesome!" But most people would react with fear, and it's actually a pretty sensible reaction. Even if every single mutant was a super nice person, that doesn't preclude the bizarre kinds of accidents that you normally only see around industrial machinery, and that's before you even bring in the concept of them getting drunk or having a bad breakup. In the movies, the only source of these bizarre and dangerous powers that threaten lives is the X-gene, and as far as we see in the movies, if someone has the X-gene, their abilities are almost always somewhere between dangerous and deadly. The X-Men movies only work as a parable about prejudice because we, the audience, know that they should. But if you changed the name of the movie and swapped out the power source for magic or nanotechnology or alien experimentation, it would all fall apart. It's unfortunate, because a few minor tweaks to the movies would make all of these issues disappear. An offhanded mention of how few mutants have dangerous abilities, for example, and a brief note on a news show about non-mutant supers that Fox has access to, like Alpha Flight, could make the parallels much more clear. However,without these and without the greater framework of the Marvel universe, humanity's fear of mutants in the movies actually makes a lot of sense, and this undermines what should be one of the strongest themes in the film. 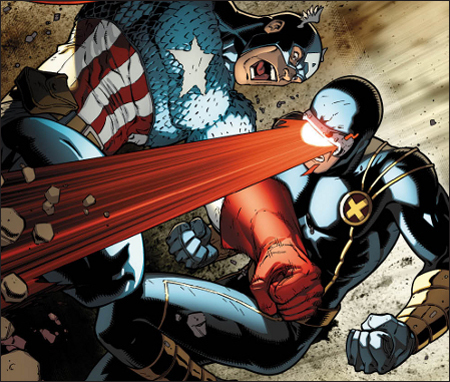 Just not this Alpha Flight, please. I'll See You at NY Comic Con!